A walk in the woods yields all sorts of surprises. Despite the liberal application of bug spray, we were relentlessly pursued by mosquitoes as we walked the woodland trail of Graves Farm in Williamsburg, MA. Originally a family dairy farm for over a hundred years, it is now held by the Massachusetts Audubon Society. Part of it is open meadow, grassland habitat for insects and birds, the other is deciduous and coniferous woodland where I took these photos. While walking we were serenaded by the most beautiful and melodious calls of three wood thrushes echoing through the forest – like voices of angels in heaven. As well, there is a large swamp/wetland habitat, which supports countless creatures and the assumed source of the voracious mosquitoes! 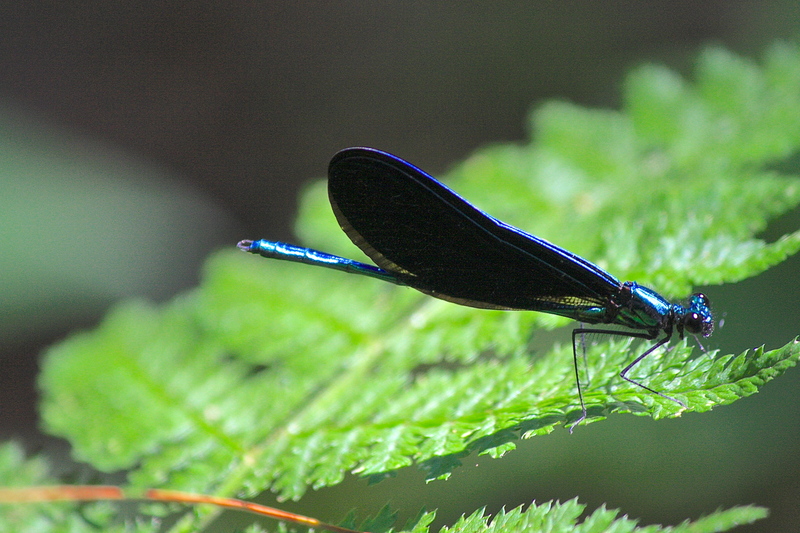 This aptly-named Jewelwing kindly paused in the a pocket of sunlight long enough for me to get a shot. A beautiful and healthy specimen due to the abundance of the aforementioned mosquitoes. His more shy and drably adorned mate hovered in the shadows, refusing to be filmed! 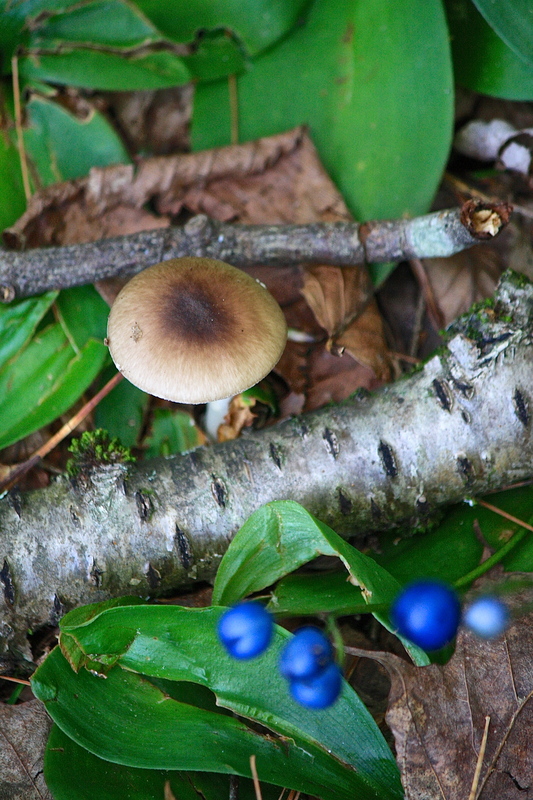 There were lots of mushrooms of all sorts, most of which are beyond my identification skill set. I’m guessing that the above is a Russella. 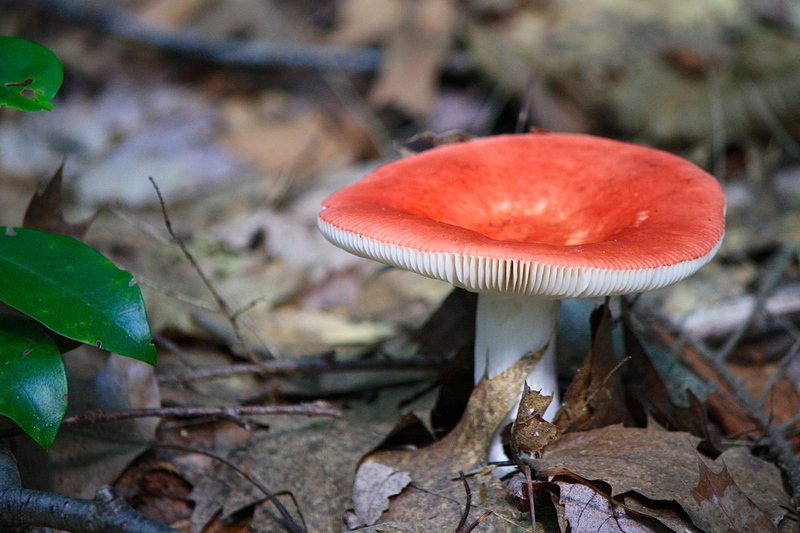 I’m not fond of domestically-raised culinary mushrooms and because so many are poisonous, I’d be too freaked out to eat wild-harvested ones. There are quite a few that are delicacies and wild hunters abound, but I leave that to the experts. Since this is a nature preserve, I am assuming that the collection of any wild plant is forbidden. We will definitely return to walk the trails again, most likely after the first frost has done away with the mosquitoes! This entry was posted in Field Notes, My Photos and tagged birds, conservation, forest plants, insects, MA Audubon Society - Graves Farm, meadow, nature photography, nature preserve, swamp, wild mushrooms, woodland. Bookmark the permalink. Just this morning I was thinking that I need a little get-away, and you have supplied such a delightful one. I was transported by the sound of wood thrush – sweet and cheerful and mesmerizing. 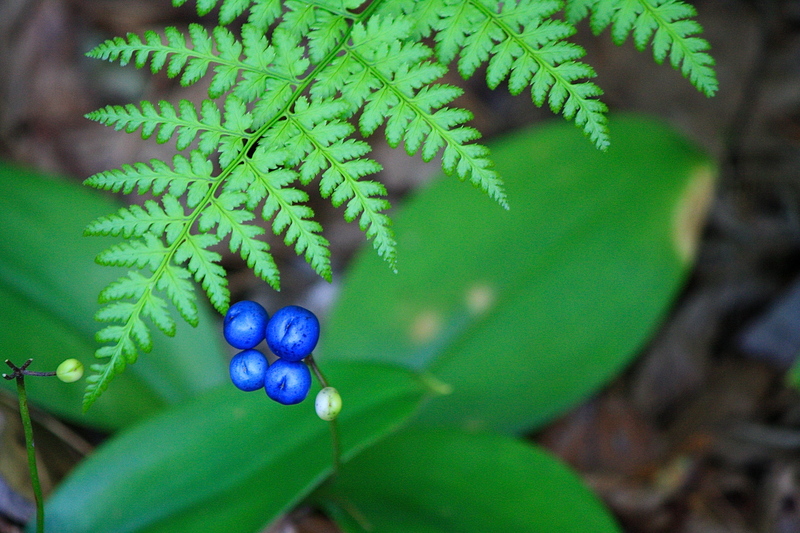 Your photos are like small jewels, with the surprising colors of the mushrooms and dragonfly and berries. Ah, I feel renewed. Unfortunately, the sound recordings don’t echo like the birdsong in the woods – that effect makes it so magical! 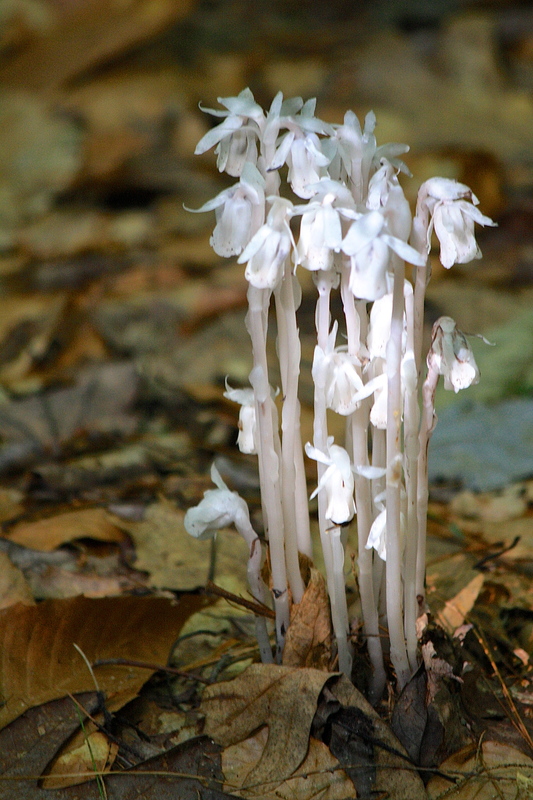 Lovely images Eliza, thank you for sharing your walk in the woods! Your welcome, Jewels. Thanks for strolling along with me! What a fabulous exotic place! And you have captured the most beautiful living things in your photos. Kudos! And thanks for sharing your walk in the woods. Oh, you are bringing back fond memories for me of our days living in Mass. We used to visit the Audubon sanctuaries in Princeton and Leominster. Such treasures these places are. 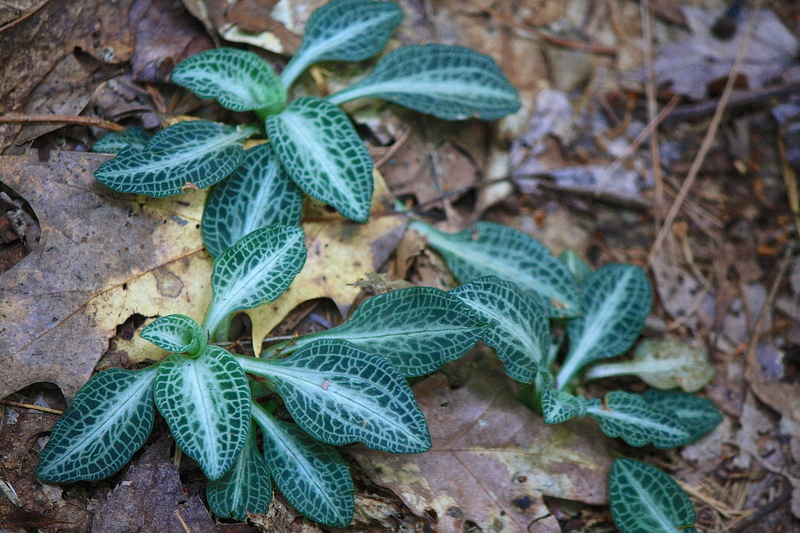 The rattlesnake plantain is particularly lovely, Eliza. Thank you so much. So you know just how wonderful these sanctuaries can be. Do you miss the cooler summers? Bet you don’t miss the winters however! There’s a lot I miss about Massachusetts if I reflect on it. It’s just a treasure trove of so much that it offsets the winters in many ways. Honestly, Eliza, the first year I lived here I missed MA so much, it hurt. But we adapt, don’t we, and now i love it here too for different reasons. The winters here are so much easier – and as a gardener I’ve grown to really love that. What a wonderful gallery. All just wonderful images, Eliza, you brave soul. I’ve missed my woodland walks terribly this summer but the mosquitos and ticks are just too much….. Thank you for sharing this beauty with us. Just wonderful!!! Thank you, Sharon. Fortunately, the heat temporarily beats the ticks down, at least around here. But the ‘skeets’ only increase with the heat! Thank you, Sreejith. That yellow really stands out in the dim forest! Delightful! So many wonderful captures!! Thank you, there were so many woodland delights! Wow! What lovely images. 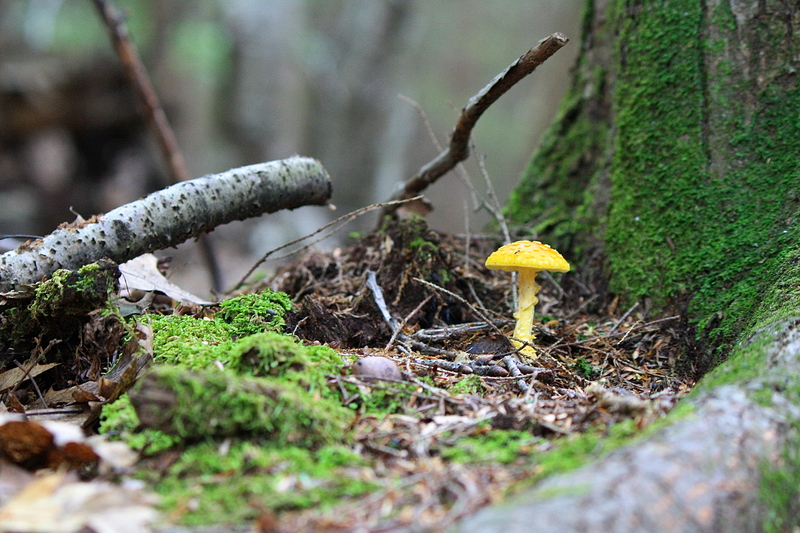 I especially love the yellow mushroom, standing out amongst the liter. Hi Eliza, the first photo is a gem. It is one of those landscapes within a landscape that are so hard to capture. Beautiful work. Thanks so much, Mike, for your kind words. Nice to have you visit! Enjoy your Sunday. Thanks so much Carole. Nice to hear from you. With all the business of summer, I so rarely visit my Reader and have missed your posts. Hope all is well with you and all the critters! Did you catch the rainbow this evening? It was double here. lovely post, I agree I would be freaked out to eat wild mushrooms! :-) the top picture with the mushroom feels like a fairy forest:-) magical! wonderful photos and romp through your habitat. I’ve been to much of the US, but not the NE, so many of the plants are new to me, which made it even more fun. Thanks Eliza. Thanks for your visit, Brad, glad you liked it. You’ll have to visit sometime. Lots of folks come for the fall foliage, but my favorite time is May when the flowers and temperatures are perfect. Yes, I grew up on the east coast in Northern VA, so I’m familiar with the gorgeous fall colors, but haven’t really traveled and explored the NE. Thanks for the tip on May weather.